With the unpredictability of the housing market in the current recession, and mortgage lenders no longer offering 100% mortgages, it can be very difficult for first-time buyers to get onto the property ladder. If your child is struggling to buy their first home, you may agree to guarantee their mortgage. 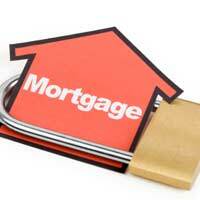 Some lenders are likely to agree to this arrangement if you can show that you are able to afford the repayments. Therefore, a mortgage application will be considered on the merits of your income, rather than the income of your child. As a guarantor, you will not be named on the mortgage deeds but will you will guarantee to be responsible for repaying the mortgage if your child is unable to. In the UK, not all mortgage lenders accept mortgage guarantors, so you may not be able to get the best rate available if your child was able to obtain the mortgage without your assistance. The banks that do often insist on you being a blood relative. This means that you may not be able to guarantee the mortgage if it is for your partner’s child, for example. In practical terms, the property will be in your child’s name but if they default on a mortgage payment you will be asked to pay up. Everyone’s circumstances are different so if in doubt about guaranteeing a mortgage debt you should always seek independent financial advice. If your child does not have enough for the deposit, but is able to show that they can afford the repayments, you may wish to consider paying the deposit instead – either by way of a gift or a loan. That way, if your child defaults on their mortgage (which of course, they know not to!) you don’t risk your own creditworthiness in the future. A larger deposit not only often secures a lower interest rate, but also reduces the repayments so they are more affordable for your child. If capital is an issue, some parents choose to remortgage their own home in order to help their children onto the property ladder. This can work well if your child agrees to pay you interest back to help cover the repayments on the remortgage. You should exercise extreme caution if you intend to guarantee a property that your child is buying with another person, such as a boyfriend, girlfriend, or a friend. Property transactions can start off with the best of intentions but if a relationship breaks down, or someone moves out, you can find yourself having to pay out rather more than you anticipated. Parents who agree to guarantee their children’s mortgage should be aware that the guarantee is infinite. In other words, you remain a guarantee for the entirety of the mortgage unless and until your child can show that they are able to take on the full mortgage debt themselves. Thank you for this. It's difficult enough for younger people to get a mortgage these days, but the banks seem to put extra obstacles in the way of someone being a guarantor. Why wouldn't you be able to guarantee the mortgage of your partner's child, for instance? But then again, that seems typical of the banks. This is useful to know the hoops we might have to jump through later. The caution you mention is always worth considering.